At the peak (so far), tweets on Syria have reached approximately 0.5%, or one in every 200 tweets. Methodology: A sampler program collects roughly one in every 2000 tweets that are sent on Twitter. 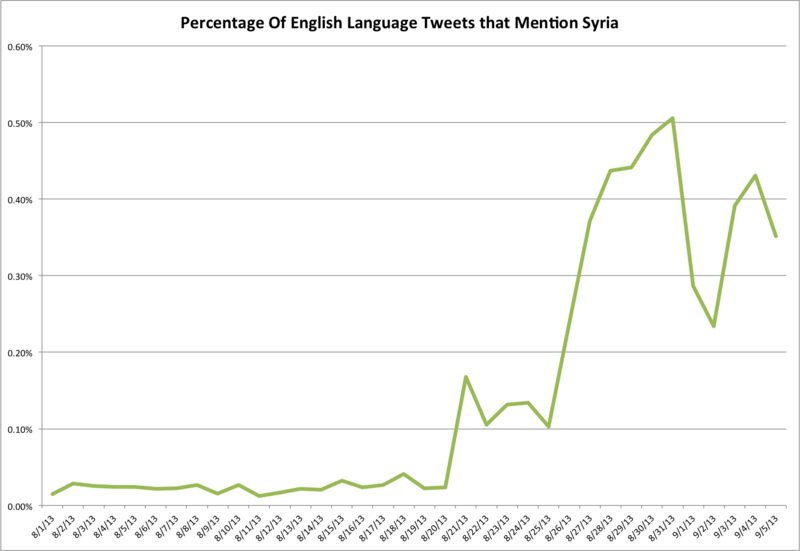 Each tweet is categorized as being English or not based upon statistical analysis. 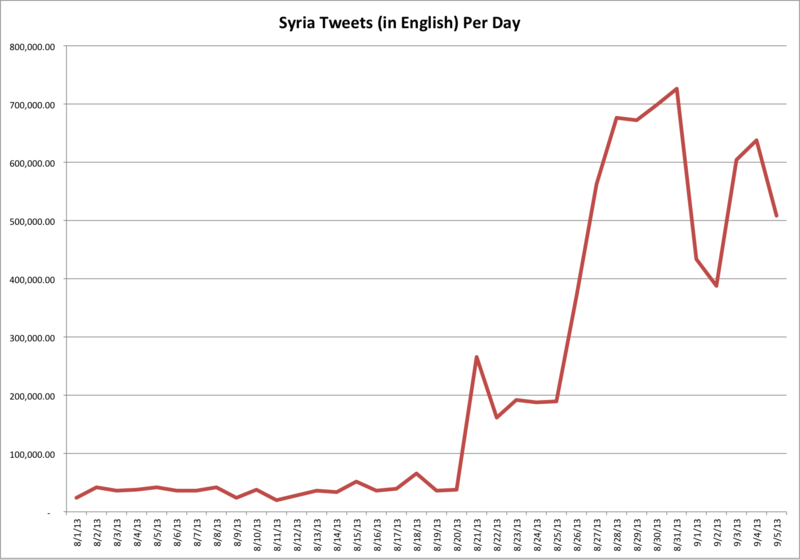 The total number of tweets that contain “syria” (regardless of case or endings (e.g., “syrian”, “syria’s”, etc.)) were counted each day and multiplied by 2000 to get the approximate total number of tweets each day that contained the word. This sampling is highly statistically valid due to the large number of tweets collected and the large number that contained the word. This entry was posted in News and tagged Syria by Charles McGuinness. Bookmark the permalink.